Brad McCarter is an Associate Director at the William and Flora Hewlett Foundation. He works closely with other members of the investment team to evaluate and select external fund managers, monitor their performance and develop investment strategies. 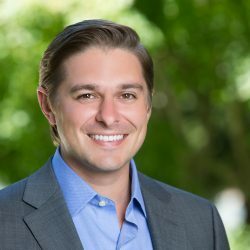 Prior to joining the Foundation, Brad was a vice president at The Carlyle Group (AlpInvest Partners) focused on private equity and venture capital in the Americas. Brad began his career in private equity and venture capital at StepStone Group in 2008. Brad is a CFA Charterholder and has a BBA in Business Economics from the University of San Diego.